In order for a business to run successfully, the simple act of paying for a product or a service using a credit card or a debit card should be efficient, fast, and most importantly, safe. And because it is money that is at stake here, there are a lot of regulations in place to make sure that the processing of payments using a card is safe and secure. One of the ways that makes card payments more secure is the EMV technology, where payment cards used in an ATM and POS terminals have been embedded with microchips. This form of payment technology has long been in use and is widely accepted in many regions such as Europe, Canada, and Asia Pacific. Ironically, the US – considered to have the largest number of plastic card users – is one of the countries that have not – yet – fully optimized this otherwise global standard. Note that an EMV-embedded chip is a lot more secure than the traditional magnetic stripe method, especially when it comes to face-to-face credit/debit card transactions. Theft and credit card fraud is rampant now more than ever, but using this embedded chip has added another layer of protection against consumer fraud. Once the card has been inserted into a terminal, the payment will then be authenticated and processed using the EMV network. Also, the chip contained within the card is hard to duplicate, making it very hard for swindlers to duplicate your customer’ cards. If you are in the process of upgrading your accepted payment methods, it is important that your POS terminal also be equipped with an EMV chip card reader. You will create more credibility and garner more customers in the marketplace by utilizing this more safe and secure payment method. There will be increased consumer confidence which will drive up more sales and increase your profits in the long run. 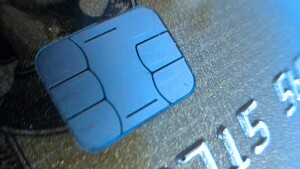 There have been changes made to the EMV Liability Shift. Currently, if a payment processing transaction has been approved and it turns out to be fraud, the card issuer is the one that absorbs the loss. With the new rule, however, liability shifts to the merchant who has not implemented the EMV technology. If and when fraud happens, the responsibility falls on the party who makes the transaction – which means YOU, the business owner. All you have to do is update your card reader. It’s that simple. If you upgraded your POS recently, then your terminal is most likely already EMV-ready. Whatever the case may be, all you have to do is contact CoCard and we’ll help you understand what changes you need to make to prepare your business for the EMV migration. Improving on your current payment processing system is not that complicated – and with CoCard’s help you will be able to implement EMV into your business.